to tell us. The form also offers you a possibility to agree to have your paper made available on the VMBO 2019 web site. There is no registration fee for authors of papers to VMBO 2019 and previous VMBO attendees. Other participants need to pay a fee (1200 SEK); please contact Paul Johannesson by email in this case, pajo@dsv.su.se. Dinner and coffee are free for all participants, while everyone has to pay themselves for the lunches. There is a restaurant on premises that offers a choice of meat, fish, or vegetarian dishes. The price is about 90 SEK (€8). They also have sandwiches and light snacks. 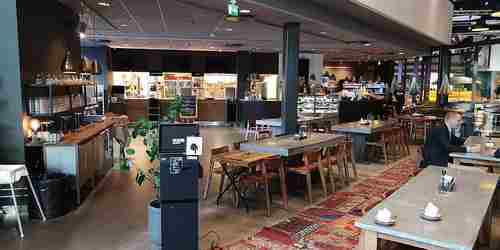 Eatery Kista — the lunch restaurant. 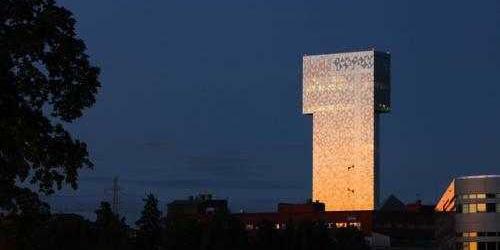 Dinner monday night will be at the Scandic Victoria Tower Hotel in Kista. Besides having a restaurant it also sports a skybar*. The hotel is quite close to the workshop venue (a 10 minute walk approximately). Street address is Arne Beurlings Torg 3, Kista. Scandic Victoria Tower — the dinner restaurant. *which, by the way, is closed on Sundays. But there’s also a lobby bar open every day.